Partner Fund Management led the Series B investment in Cambridge, MA-based Neon. The round included new investors Fidelity Management & Research, Wellington Management, Inbio Ventures, and Nextech Invest. Earlier investors Third Rock Ventures and Access Industries also participated in the new financing. Neon was founded in 2015, backed by a $55 million Series A round. Cancer vaccines have fallen short of their potential to help patients because these therapies are not precise, says Hugh O’Dowd, Neon’s CEO. Neon focuses on proteins called neoantigens, which are found only on the surface of cancer cells and present a complex picture of a living, growing, mutating tumor. 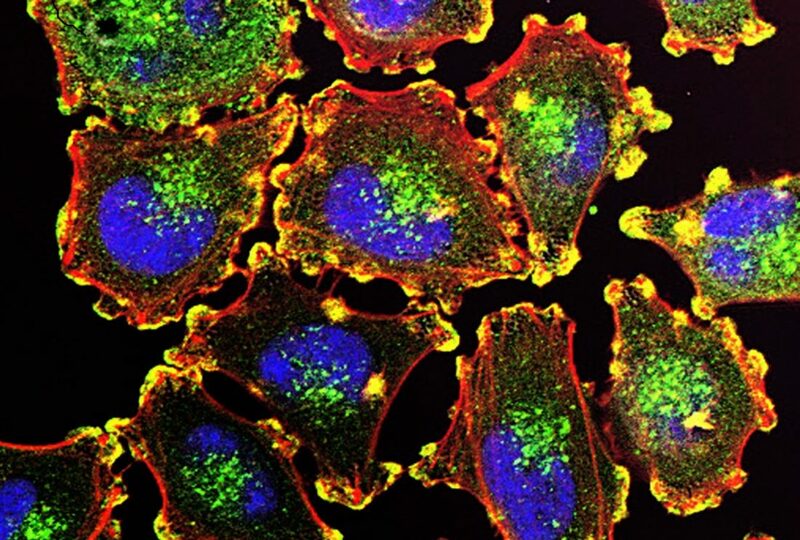 They are part of the discovery, thanks to genome sequencing, that tumors are collections of cells with varying DNA sequences, not a genetically uniform mass. The company’s technology works by taking a sample of a tumor, sequencing it to identify the neoantigens, and using that information to produce a cancer vaccine specific to the patient. “It selects which mutations are necessary to be understood to make a personalized vaccine for each and every patient,” O’Dowd says. Injected into the body, the vaccine prompts an immune system response—at least, that’s what it’s supposed to do. No one has yet brought a cancer vaccine through to approval. One of the latest prominent failures came last March. Neon is currently testing its lead cancer vaccine, NEO-PV-01, in a Phase 1 clinical trial in combination with the Bristol-Myers Squibb (NYSE: BMS) drug nivolumab (Opdivo), which has already been approved to treat certain types of lymphoma and cancers of the skin, liver, lung, and head and neck. The 90-patient trial will assess the safety of the combination. The study also aims to determine whether Neon’s drug plus nivolumab offers any improvement over other therapies or nivolumab alone. The trial is recruiting patients who have melanoma, lung cancer, or bladder cancer. Nivolumab is what’s called a checkpoint inhibitor, a type of cancer drug that works by blocking proteins that tumors use to hide from the body’s immune system. But checkpoint inhibitors only work for a fraction of cancer patients. Like many other drug companies, Neon is exploring ways to boost their effectiveness by identifying the neoantigens—and thus the new mutations—that a tumor is using to remain hidden from the immune system, even when its so-called checkpoints are blocked. Neon has competition in the neoantigen-based vaccine field. Emeryville, CA-based Gritstone Oncology raised $105 million in a 2015 Series A round and also wants to develop personalized vaccines to be used alone or in combinations. Gritstone expects to start clinical trials this year. Neon could have key clinical data by the end of 2017 and perhaps start other combination studies of PV-01, O’Dowd says. Neon is also working to engineer living T cells, similar to the high-profile experimental programs that Juno Therapeutics, Kite Pharma, and Novartis have been advancing through clinical studies the past few years. Neon wants to create T cells that recognize neoantigens, with a goal of starting human studies in the first quarter of 2018. The company has not yet selected the cancer targets for PTC-01. A third program called “shared neoantigens” aims to develop cancer vaccines that target neoantigens shared across patients and tumor types. This program is still preclinical. O’Dowd says that the $70 million in new capital supports all three Neon programs.